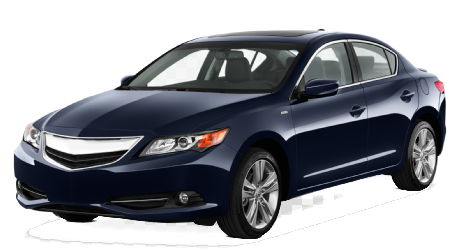 Are you searching for reliable Acura repair in Indianapolis? You’re in luck because our accomplished ASE-Certified and Bosch-Certified auto mechanics at ASG Automotive are experts at servicing and repairing Acura vehicles. We truly have a passion for automobiles and love our work. In fact, many of our team collect cars and are avid racecar drivers. We just can’t get enough of the auto industry. ASG Automotive takes away all the stresses of auto repair, including Acura repair. Like all vehicles, your Acura will need service from time to time. It’s so important to stay on top of auto repair, so your and your family’s safety is not jeopardized. To avoid dangerous scenarios on the road and hefty repair costs down the line, allow our skilled auto mechanics to inspect and maintain your Acura. Free shuttle service and discounted rental cars. All of our auto mechanics are ASE-Certified and Bosch-Certified. 4-year/48,000-mile warranty on all Acura repair. ASG Automotive has a state-of-the-art facility with the factory-standard equipment, tools, and computer diagnostics. Our customers have come to trust that they will receive stellar auto repair and customer service from the team at ASG Automotive. You can rely on our skilled auto mechanics to get the job done right the first time, and our 48-month/48,000-mile warranty is a testament to the reliability and quality of our auto repair. To schedule an appointment for Acura repair, call us at 317-826-2906. ASG Automotive is located at 5841 Thunderbird Road, Suite 3 Indianapolis, IN 46236.